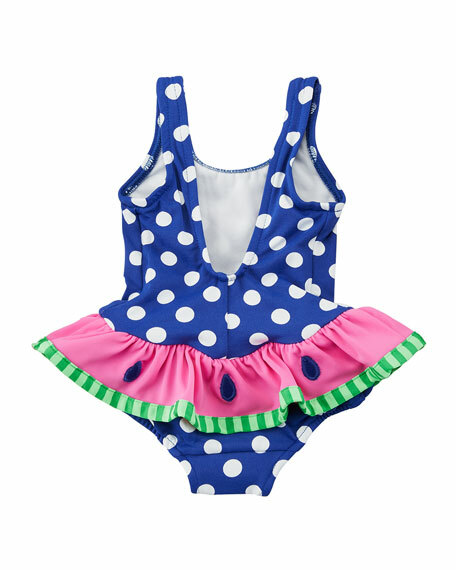 Florence Eiseman polka-dot one-piece swimsuit. Scoop neckline; keyhole bow back. For in-store inquiries, use sku #2462578.